How Reliable Are Animal Experiments ? An inquiry into animal experiments is long overdue, as there has never been a formal evaluation of animal testing. However, there have been smaller scale statistical studies, and they make interesting reading. Animal experiments are an established method of safety testing medical drugs. Although this was never evaluated before the method was adopted, adequate data is available. Animals of various species are used to screen drugs for potential unwanted reactions. Given that it is normal practice to use a number of species, it might be expected that if animal experiments were predictive, this method would identify potential dangers. Animal experiments were evaluated by animal experimenters, who took six drugs, and noted which of the 78 adverse effects were detectable in dogs or rats. They ignored the effects which were undetectable in animals (e.g. headaches). Less than half (46%) of the remaining side effects were detected in the animals - slightly less than the expected results from flipping a coin. In other words, animal tests were wrong 54% of the time. With such a high failure rate, it might be expected that a high proportion of side effects caused by drugs would go unpredicted by animal tests. With this in mind, the American Food & Drug Administration (FDA) monitored all the drugs approved over a ten-year period. Of 198 drugs monitored, 102 (52%) were re-labelled or withdrawn due to unforeseen effects. As some of the side effects that were predicted would have been discovered by pre-approval human trials, the success rate of animal use can be safely assumed to be well below the 48% discovered by the FDA. "Most adverse reactions which occur in man cannot be demonstrated, anticipated or avoided by the routine subacute and chronic toxicity experiment." 'As a very approximate estimate, for any individual drug, [only] up to twenty-five per cent of the toxic effects observed in animal studies might be expected to occur as adverse reactions in man'. This has terrible consequences, whihc you can read about here. 45 drugs tested in 1978 were analysed. Of the side effects predicted by animal studies, 75% did not happen in humans. Along with the matter of whether a drug is actually effective or not, the safety profile of a potential new drug is assessed first on animals, then progressing to human trials if successful in animals. So the success rate of animal tested drugs in humans can again be evaluated by examining the progress of these medicaments. of the drugs presented to human trials, 5% are eventually approved. The human trials are in three stages. The first trial involves healthy human volunteers, typically about 20-80. At this stage eleven out of twelve animal-modelled drugs fail. An example of this - an example which has produced statistical evidence - is the case of stroke drugs. In the periods 1978-1988, twenty-five drugs were found to treat stroke in animals. The number that worked in humans was found to be zero. Twenty-two drugs to treat spinal cord damage were developed on animals. None worked in humans. An approach such as animal experimentation to discovering drugs can be likened to gambling. Occasionally - through sheer chance - it may give the correct result applicable to humans. But it cannot be relied on. A famous pharmacologist said on accepting a prize for his work that is it "a matter of pure luck that animal experiments lead to clinically useful drugs". He was among those who used animals for exactly that when he said this. Why don't animal methods work for predicting drug reactions? The simple answer is that animals are different. A major difference is that they suffer from different diseases to us. Less than 2% of the illnesses that can afflict humans are found in any other animal species. So many of the diseases animal experimenters are trying to treat - as well as many of the conditions which may be caused as a side effect of a prospective medication - may not exist in the test animal (or any animal). Dogs get distemper, humans do not. This is also why no animals have developed AIDS in the same way that humans have. Animals also have different biochemistry, different diets, they don't live as long as us (and the test periods are over short periods) - and they process drugs differently. Vitamins affect different animals in different ways, and the drugs are digested and metabolised differently. 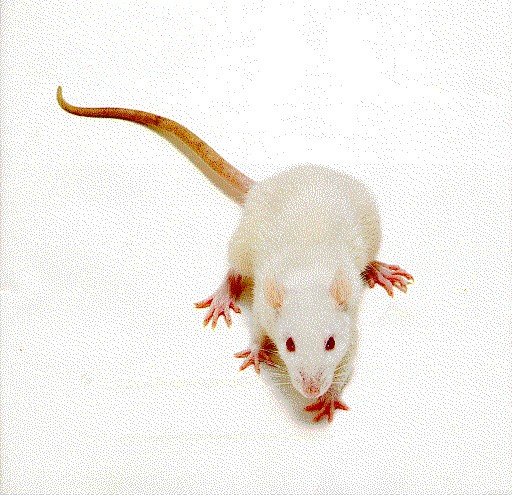 Animal experimenters have discovered that rats metabolise drugs in a different way to humans in 83% of cases. Yet still they are a favourite tool for drug testing and chemical screening. Why? Dr James G Gallagher was director of Medical research, Lederle Laboratories, when he discussed "…an unscientific preoccupation with animal studies." He went on to say "Animal studies are done for legal reasons and not for scientific reasons." It gets drugs onto the market, and provides evidence that something was done, therefore avoiding the charge of negligence when the inevitable human damage occurs. Another area where animal use is claimed to be essential is in cancer research. Animals are used to see which chemicals cause cancer, and which may help combat it. 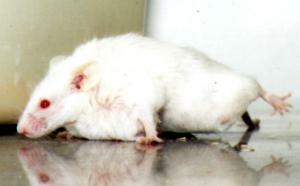 The screening of potential cancer-causing chemicals is a subject in which vivisection has been evaluated. The drug company Pfizer did this in 1983. "The results would be vitally important because despite costing millions of dollars, no one really knew whether they provided adequate protection against hazardous substances. Human findings were compared with experimental data from rats and mice for all chemicals known to cause cancer in people. The outcome was disturbing: in most cases animal tests had given the wrong answer. The report concluded that we would have been better off to have tossed a coin." Rats and mice are still overwhelmingly the most commonly used animals. But the use of other animals is no more successful. "Warning is given not to carry over, without reservation, to man, the conclusions based on animal experiments. In monkeys none of the power carcinogens [to humans] has been shown to produce cancers." Nineteen chemicals known to cause oral cancer in humans were studied in animals. Using the standard National Cancer Institute Protocol, and rats and mice, twelve were found to be safe in animals. Also the reverse is true - substances identified as dangerous by animal experiments are likely to be completely harmless. Of twenty compounds known not to cause cancer in humans, nineteen did cause cancer in the laboratory animal. Differences between species are so specific that even relatively similar species may show a different profile of reactions to test chemicals. Experiments on rats and mice show that 46% of chemicals which caused cancer in rats, were not cancer inducing in mice. Mice were found to develop cancer, due to exposure to chemicals which did not affect rats. Industry experts correctly conclude: "We would have been better off to toss a coin" Animal experimenters involved in the practice have themselves evaluated their business as "a half-baked guess" and "all guess" (Dr Frederick Coulston). Animals are also used in attempts to detect drugs and plants that may be useful in treating human cancers. Yet this has not been effective. As the executive director of cancer research at Merk Research Laboratory summed up: "The fundamental problem in drug discovery for cancer is that the model systems are not predictive at all". Model systems that use animals. The lack of success with animal models is not due to a lack of trying. Between 1970 and 1985, 500,000 different chemicals were tried on animals in an attempt to find some which would combat cancer. From this mammoth operation, just eighty drugs were identified by the animal studies. Of these eighty, only twelve went on to make a different to the lives of humans. At a first glance this might seem to be a worthwhile exercise - something worthwhile came out of this massive project. Yet all of these new treatments were sufficiently similar to existing treatments that they could have been identified from their chemical structure. Using no animals and a fraction of the time and money, non-animal, human based methods could have had these drugs in use more quickly. A similar study, over 25 years by the National Cancer Institute (USA) tested 40,000 plant species for anti-cancer effects. All chemicals identified by the animal tests were either ineffective or too highly poisonous to be used in humans. Even the Handbook of Laboratory Animal Science admitted: "despite 25 years of intensive research and positive results in animal models, not a single anti-tumour drug emerged from this work." One of the major reasons for this is that the cancers that humans develop are not the same as the animal cancers. With this in mind, experimenters have tried to improve their success rates by implanting human cancers into mice. Known cancer drugs were used on the animals. In 30 of the 48 cases, the human drugs had no affect on the cancer, despite working in humans, and the cancers in question being human cancers. "…while conflicting animal results have often delayed and hampered advances in the war on cancer, they have never produced a single substantial advance in either the prevention or treatment of human cancer." Instead, research has been led in the wrong direction, studying the wrong form of cancer in the wrong species. "God knows we've cured mice of all sorts of tumours" said Thomas E Wagner, a long-serving cancer research specialist. "But that isn't medical research." Why do they do this? Let someone who does this answer this question. Dr P Shubik was at a conference of cancer researchers who used animals. Many had openly criticised their work and stated how unscientific it was. "The chief objective is to keep us all employed, and to make sure we do interesting experiments so that we can come back to these nice places." Read more about cancer research here. Perhaps the greatest fear among ordinary people is that of the damage drugs can do to their unborn children. The example of Thalidomide, which caused thousands of serious birth defects, has been quoted as a reason why animal experiments must be done - to stop it happening again. It has been claimed that thalidomide was never tested on pregnant animals before it was given to humans, although this is unlikely. Animal experiments were standard practice. It is undisputed that after the human disasters it was tested on animals. Countless species and sub-strains were used, including over 150 different breeds of rabbit. One species of rabbit produced malformed offspring when given Thalidomide - and that was at doses of 10 times the human dose. Salt or sugar in that dose would have caused the same problems. 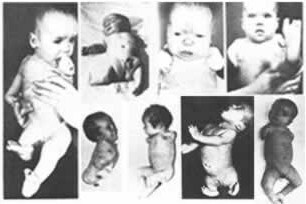 Animal experiments were - and still are - incapable of predicting that thalidomide is dangerous to pregnant humans. Experiments have been conducted to evaluate whether animal experiments are effective in showing which drugs can damage the unborn child. Drugs known to damage the human foetus were given to animals. 55% passed tests on hamsters. 70% passed tests on pregnant monkeys - our closest animal relative. Yet other drugs and chemicals have been identified to be dangerous to pregnant mothers by animal experiments despite being harmless. As reported in a medical journal, over 1,200 chemicals have been identified to cause birth defects in lab animals, yet only 30 cause birth defects in humans. Many useful drugs are indicated dangerous in animals but are safe in humans, including aspirin and insulin. More than eight hundred chemicals have been identified as teratogens in laboratory animals, but only a few of these, approximately twenty, have been shown to be teratogenic in humans. This discrepancy can be attributed to differnces in metabolism, sensitivity and exposure time. This is also 2.5%. Now that animal experiments are an established, commonly used method, it is known that all drugs released have been tested on pregnant animals first. Yet of all birth defects, an estimated 61% of them were estimated to be caused by medical drugs, according to one of the most detailed studies ever conducted. For stillborn babies, drugs are estimated to be the cause in 88% of cases. Birth defect rates are rocketing. Over a 25-year period from 1948 to 1973, they rose from 3 per 100,000, to 500 per 100,000. They are continuing to rise. Read more about this here. Evidence taken from the results of animal experiments enable us evaluate the accuracy of their tests. Many good scientists expect that due to the massive differences in species, which can never be overcome, the accuracy will be low. Other people have looked at the results and come to a similar conclusion. The average of the percentages uncovered above is 20%. But even this figure may be flattering. Much of animal experimentation is attempting to recreate a condition already known. "…until somebody knew what to look for, they did not seek those things. To suggest that this process is predictive is somewhat of an anomaly in terms. It can hardly be predictive after the fact…"
If animal testing were abandoned today, there would be hundreds of methods we could use. The American National Cancer Institute alone uses 100 cell culture tests to identify cancer-causing chemicals. As technology progresses we are able to develop more accurate methods. Gene therapy and computers are just two examples of areas where massive advances have been made using ingenuity and good science. All these methods have the advantage of being human-centred and therefore can expect a degree of accuracy far in excess of the extremely low levels achieved by animal experiments. 20% effectiveness is not science. It is the sort of success rate achieved by the charlatan fortune-teller. Medical advances have been made throughout history by studying patients, observing results, studying cells and human tissue, autopsies, the use of mathematical techniques and computer modelling and studying populations. These methods have been successful, while animal experiments have been haphazard and have failed us. This article may be copied and circulated with the aim of educating more people of the failure of vivisection. 3 Prof G Zbinden, "Applied Therapeutics", 1966, 8, pp128-133 4 'Animal Toxicity Studies:Their relevance to man Lumley & Walker (ed) pp57-67, Quay, 1989 5 Dr. A. P. Fland, Journal of the Royal Society of Medicine, vol.71, 1978, pp.693-696.